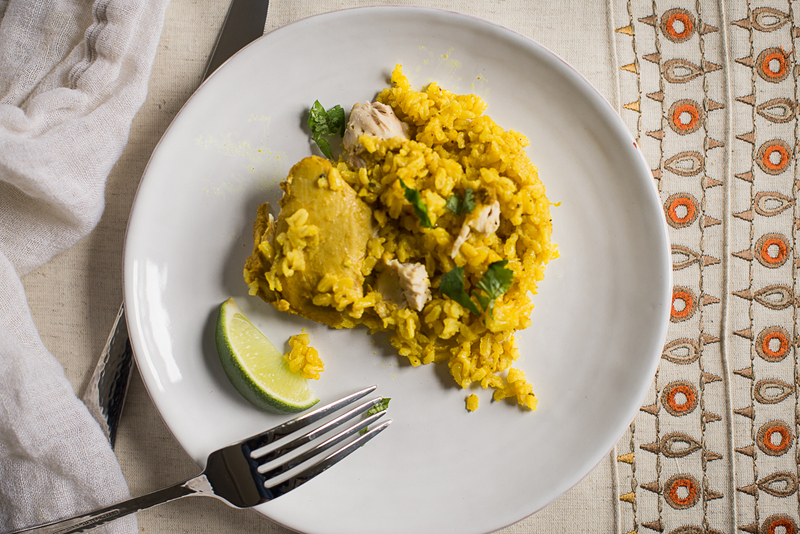 When searching for new Instant Pot recipes I ran into this one on epicurious.com (called "Spiced Coconut Chicken and Rice"). I have made it a few times and altered slightly. I prefer brown jasmine rice for the enhanced nutrients, but white jasmine also works (the time needs to be increased for brown rice). This recipe is has comforting island flavors like coconut, cilantro and rice which make it perfect for summer or winter. Place the Instant Pot on "Saute" mode and heat oil. Add onion, ginger and garlic and cook until fragrant, about 2-3 minutes. Add spices, chicken, salt and pepper and cook on each side for a minute to lightly brown. Add coconut milk and water (1/4 cup for white rice and 1/2 cup for brown rice). Place lid on and cook on "Manual" high pressure for 13 minutes with a Quick Release. Transfer the chicken to a plate and leave liquid in the pot. Shred the chicken away from the bone and discard any bones and skin. Add rice, cilantro stems, and cook on "Manual" high pressure for 4 minutes for white rice (22 minutes for brown rice). Allow a Natural Release for 10 minutes then release the remainder of the pressure. Stir in lime juice and shredded chicken. Season with salt and pepper to taste. Serve with lime wedges and chopped cilantro. This soft rice and chicken can make a great babyfood option with interesting spices for new eaters to try. For brand new eaters use a little chicken broth and blend to a smooth consistency. Leave more texture for more experienced eaters Consider overcooking the rice by a few minutes to get it even softer for your baby.